How to Crochet a Blanket for Infants & Toddlers: 11 Crochet Afghan Patterns – In this super adorable eBook you’ll find patterns to make for your own toddler or someone else’s. Each of these baby crochet afghan patterns would make perfect baby shower gifts for that mom-to-be; every new mom needs a cuddly baby blanket for their newborn. From beginner crochet patterns to the more advanced you can find crochet designs like the Simply Stripes Baby Blanket, which is great for both boys and girls, the Puppy Dog Lovey Blanket, which has become quite the popular crochet design among mother’s and grandmother’s, and even a Basket Weave Baby Blanket which is a more advanced pattern with a beautiful outcome. Baby blankets are a popular gift idea for baby showers. One way to stand apart from the rest of the guests at the party is to make your own homemade baby blanket, which is so easy to do with the help of this collection of free patterns. From easy crochet afghans to intermediate patterns, this eBook will teach you everything you need to know about how to crochet a blanket for infants and toddlers. 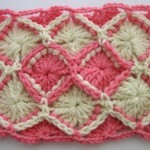 How to Crochet Edges & Make Crochet Borders on Patterns – Once you’ve crocheted all the baby blankets in the first eBook, you can finish them off with crochet edges. 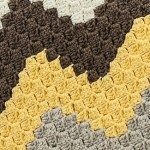 Crochet edges and crochet borders add the perfect finishing touch to just about any crochet pattern. 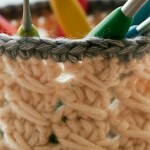 Even if you think your project is complete, adding a border is the greatest embellishment you can put on your project. When done in thread, it can give a beautiful lacy look that will even amaze you. 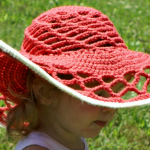 In this eBook you’ll find easy crochet edging patterns along with crochet blanket edgings. 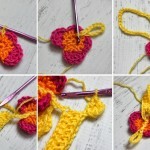 If you’ve never worked with crochet edges or you’re just learning how to crochet, then this eBook will easily teach you how to crochet edges with the step-by-step photo tutorials. From specific edging patterns like the Pineapple Swirl Edging to the Easiest Ever Crochet Edging, you’re sure to find a design that fits what you’re looking for. The eBook also provides patterns that use borders like yet another lovey blanket: the Monster Fleece Lovey Blanket, as well as pillow edgings and lacy napkin edgings. 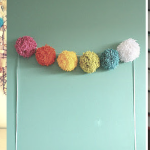 Crochet edgings on your home decor pieces can really help spruce up your home and impress your guests. 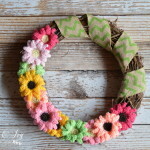 When you download How to Crochet Edges & Make Crochet Borders on Patterns, it really will change your mentality on the way you finish your crochet patterns. These two eBooks will soon become your favorite must-have collection books that you’ll refer back to for many years to come. Once your crochet baby blanket from How to Crochet a Blanket for Infants & Toddlers: 11 Crochet Afghan Patterns is worked up, you can choose a crochet edging pattern from How to Crochet Edges & Make Crochet Borders on Patterns. Both eBooks are free to the consumer and can be downloaded right now! Enjoy! Which eBook are you most excited to download first? Thank you for the patterns & borders ebooks! Thank you for the ebook ! 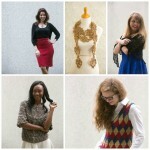 Love all the great pattens. I have learned so much from you. Thank you!